sugar cards: Quick shaker card class! I went to a recent quick card class to create a shaker card. I've made a few different shaker cards, but in this class we used sookwang tape to the secure fun foam to the frame and card. 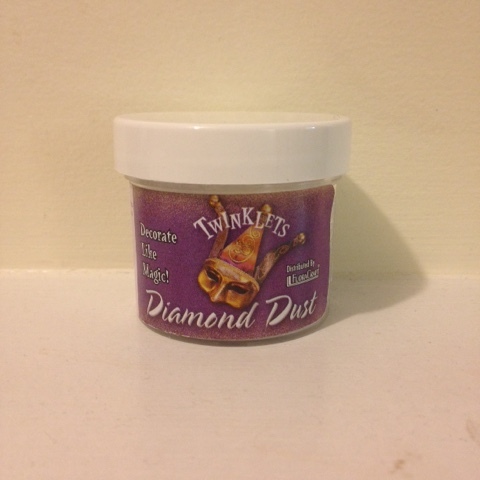 We also used diamond dust as the shaker bits inside the acetate. We also used some glossy accents glue to adhere some sequins to the background of the shaker view, to make them appear as if they were stars in the night sky. I hope you like the finish project! 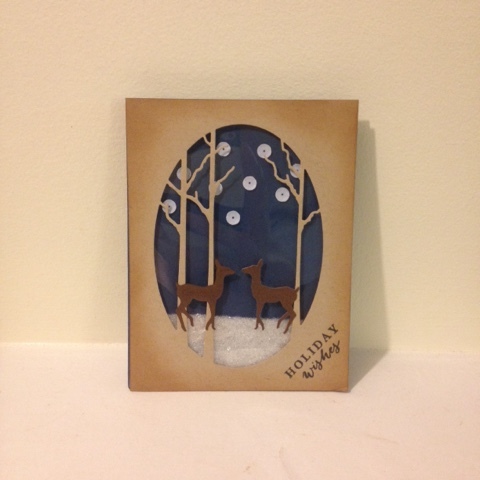 Here's the diamond dust we used in class to make it appear as if the deer were standing in snow.